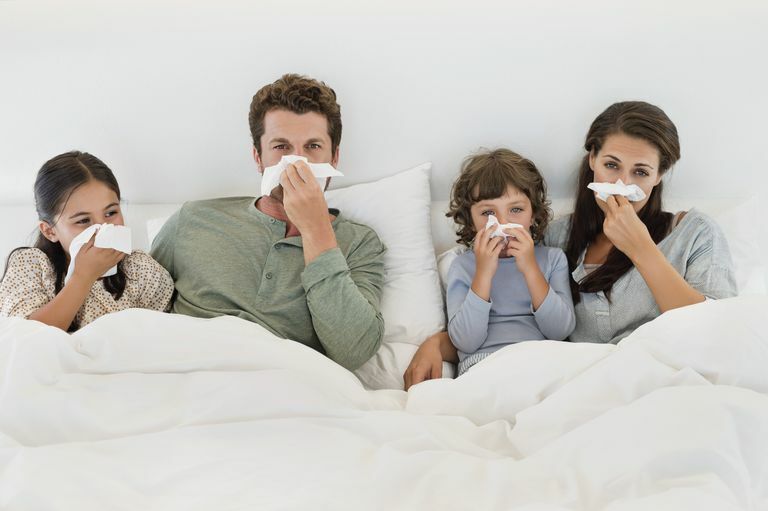 Despite your efforts to keep your hands clean, carrying extra sanitizers in your bag, wiping down the kitchen when you cook, and staying away from anyone who appears to have a cold, you find you are often getting run down. You are literally sick and tired of having a runny or stuffy nose and hoping that with the weather getting nicer, your immune system will perk up. But perhaps you might want to take a closer look at what you can do to help boost your immune system? And perhaps the first place to start is by looking at your diet. Most people don’t really stop to think about what they are eating and how it may be impacting their immune system. And that may be part of the problem. For those with food allergies, this might prove to be even more important. Being on a limited diet that requires you to avoid particular food groups, for example being dairy, gluten or nut free, may be further impacting your nutritional health. So whether you have food allergies, a poor diet, are a picky eater, or just not planning right, maybe it is time to improve your diet. As you review what you are feeding your body on a daily basis you might find room for improvement. Studies show that there are many so-called superfoods that play a direct role in boosting your immune system. By adding these nutrient-packed foods to your plate, you can feed your body with good health in mind. The old adage “an apple a day, keeps the doctor away” may still stand true. However, it may take more than an apple to boost your immune system, warding off the common cold, among other viruses. Why not try to add these immune boosting foods—packed with critical minerals and vitamins—to keep you feeling healthier. Keep in mind that if your food allergy precludes you from adding a particular food, there are many other immune boosting foods to choose from. Spinach: This leafy green is perfect tossed into your salad, added to a sandwich, cooked in your omelette or served with olive oil and garlic. Spinach is rich in vitamin C and antioxidants, both of which have a connection to your immune system. In fact this vegetable packs nutrients that helps the bodies ability to rejuvenate itself. Almonds: Adding almonds to your diet will add a healthy dose of vitamin C, vitamin E and healthy fats. Vitamin E helps your body to fight off infection and what better way then snacking on delicious and crunchy almonds. Also packed with protein, another important building block for good health. Butternut Squash: One cup of this food packs over 180 percent of the recommended amount of vitamin A, which plays a role in keeping your eyes, skin and immune system healthy. This nutritious vegetable also contains more than 50 percent of the your daily vitamin C needs and a significant amount of vitamin E as well. Oatmeal: Nothing is better than starting your day with this delicious hot breakfast cereal. In fact the fiber found in oatmeal called beta-glucan, gives your body extra protection. In fact most immune cells in your body latch onto this type of fiber, boosting the white blood cells that protect against bacterias and viruses. Chicken: Believe it or not chicken is a great contender for building your immune system. When your body is attacked by viruses or foreign bodies, it creates antibodies to fight them off. In order to make these antibodies a readily available source of protein is needed. Chicken is a great source of lean protein, that can help the bodies immune system. Peanut Butter: It doesn't take more than two tablespoons of peanut butter to give your body a powerful amount of immune fighting nutrition. Packed with protein it can help to build antibodies to protect your body, and loaded with vitamin E it can help to fight off the common cold. Yogurt: As part of a healthy breakfast or even as a snack on the run, yogurt is packed with probiotics to keep up healthy. Probiotics are the healthy bacteria that aid i n digestion and keep your immune system strong. Additionally yogurt is loaded with vitamin D which plays a role in regulating immune function and tissue function. Green Tea: This beverage may be just what the doctor ordered. The plant antioxidants, called polyphenols, that are present in green tea are believed to have immune-boosting effects. For this reason, green tea has been found to be helpful in warding off the body from viruses. It is important to note however that adding milk to green tea will make the plant proteins ineffective. Kiwis: These tiny prickly covered fruits are packed with vitamin C, which plays a key role in keeping your immune system running. Vitamin C plays a role in increasing the production of white blood cells, which keeps the body healthy. It is also known to help prevent and decrease wheezing in the bronchioles that may result in a weakened immune system. A kiwi is also considered a “prebiotic” food, feeding the probiotic bacteria in your gut, to help promote digestive health. Ginger: This powerful ingredient helps not only after you have a cold, but can actually play a role in helping to prevent it. Ginger actually has antimicrobial properties, killing bacteria, and can be used internally and topically. It also stimulates the production of digestive juices, allowing for optimal digestion for a healthy body. Ginger also contains manganese which helps build resistance to disease. Not only will these immune boosting foods keep you healthier, but they will make for a delicious addition to your plate!